It’s no secret that water has always been an integral part of what keeps lawns healthy and green. Yet landscape maintenance isn’t the only area where water makes its mark. 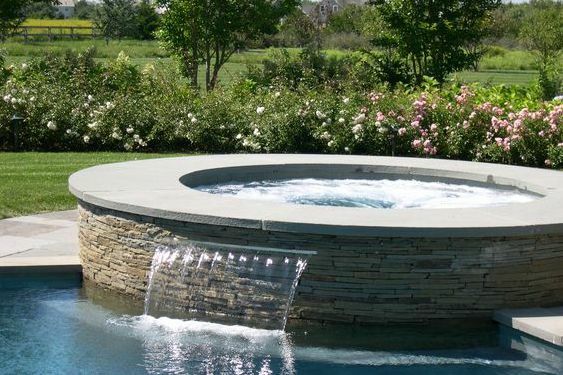 Whether designed for aesthetic purposes or recreational use, hardscape water features have become a popular choice in modern landscape design as well. 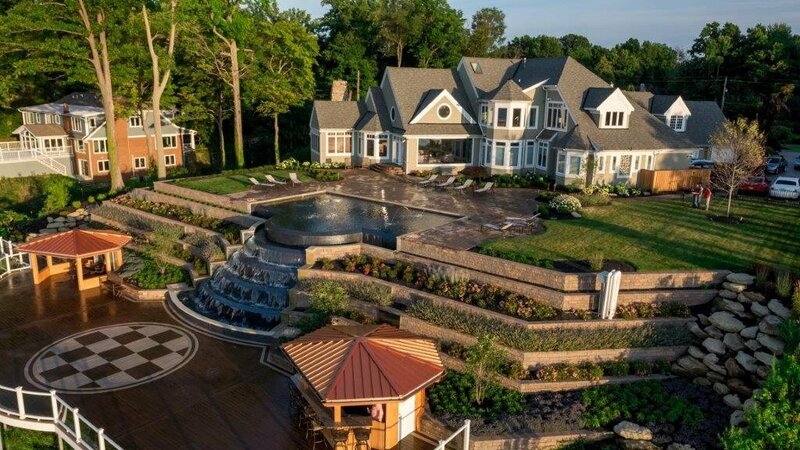 When the phrase “water features” comes to mind, you might initially think of traditional designs like tiered water fountains or in-ground rectangular pools. But as we’ll discuss here, modern landscape design embraces new twists on these old classics—ones that are bound to enhance the visual appeal and use of your outdoor space. With the goal of creating a staycation oasis, homeowners are weaving the comforts of vacation resorts into their own backyards. That’s where infinity pools come into the picture. Also known as negative edge or disappearing edge pools, infinity pools extend properties and blend in with the horizon to create a more natural look. If you live on a shoreline or have a beautiful view to showcase, this type of water feature can be an especially good fit. Spas and pools were once treated as separate elements of a landscape. In modern landscape design, however, these two amenities tend to cross paths. One example of this integration is a spillover spa attached to a pool. With the mixture of spa and pool water, you can form a more serene outdoor space while minimizing required maintenance since the pool and spa can use a single pump. 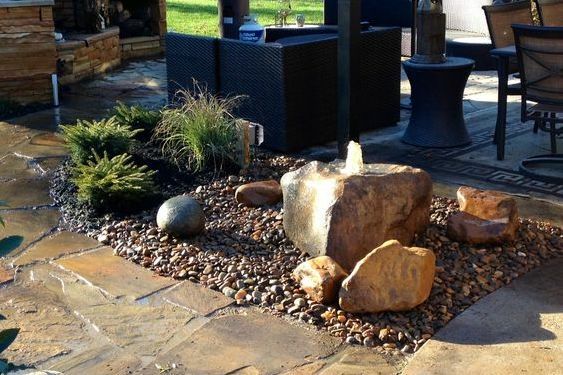 If you’re looking for a low-maintenance water feature for your modern landscape design, add bubbling rocks to your list of potential options. Available in various shapes and sizes, these beautiful stones blend in naturally to the backyard environment without taking up much room. Aside from supplying the tranquil sounds of water, bubbling rocks also help to improve water circulation and avoid creating a breeding ground for mosquitoes and other issues. 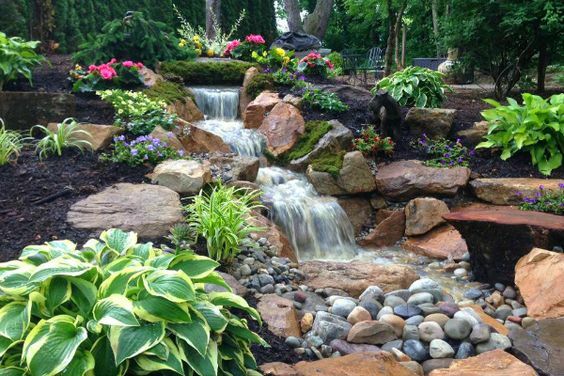 When space is at a minimum in landscapes, one of the best ways to create a focal point is with a pondless waterfall feature. 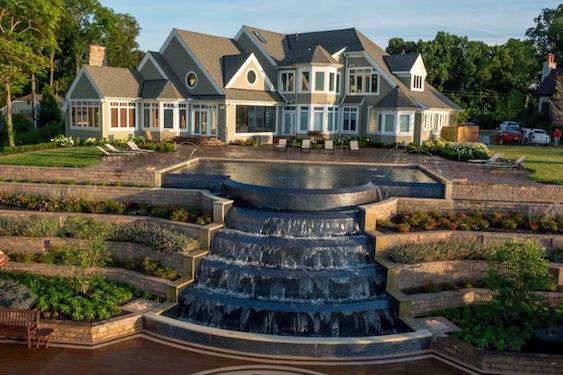 Combined with the mixture of textures in the hardscape, foliage and lawn, the movement of water makes for a nice contrast that is sure to attract the attention of guests. In terms of maintenance, all you have to do is add some water to the reservoir every few weeks to replace water lost to evaporation. While vases may be the typical home for flowers indoors, these decorative containers have found broader applications in modern landscape design. One example is water fountain vases. 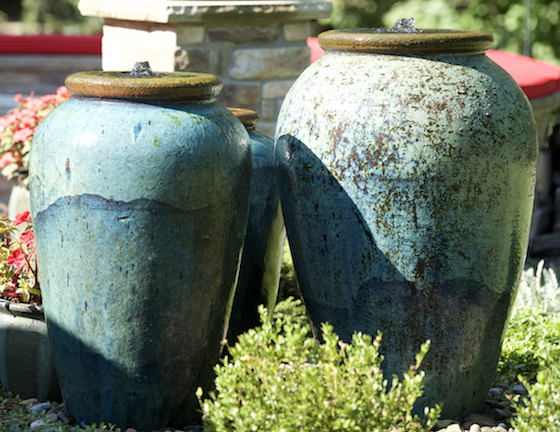 Whether included as part of the patio, deck or another area of your backyard, water fountain vases deliver the perfect blend of original, distinctive art and a meditative atmosphere. Interested in learning more about trends in modern landscape design for 2019? Check back soon for our next blog about new, innovative ways to keep cool in the summer!